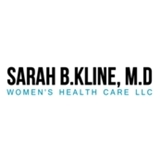 Sarah Kline (Tampa) - Book Appointment Online! Dr. Kline is committed to providing each patient with individualized attention in a comforting atmosphere. Dr. Kline and staff work together as a team to provide high quality and comprehensive care. She addresses every patients needs and questions. We are committed to providing health care that fits into your busy schedule. We value the patient's time.